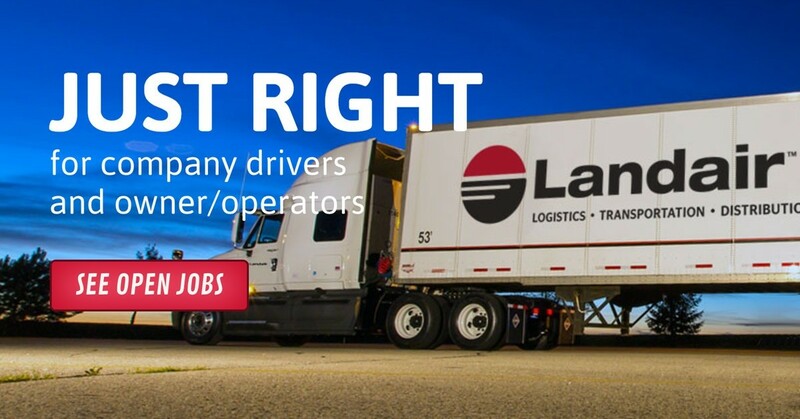 For 32 years, Landair has been dedicated to providing company truck drivers and owner/operators an experience that is “just right.” We hire for the long haul and will do what it takes to keep you driving for Landair: top-of-the-line pay scale, new equipment, flexible home time, and excellent benefits. We're scalable to the unique needs and goals of our drivers so we can offer the best driving jobs in the industry. If that means modifying your home time to accommodate family members or equipping your truck with custom equipment, we’ll work with you to make it right. We appreciate our drivers and are willing to go the extra mile to prove it. Whether it’s your first year driving or your fortieth, Landair has a career route for you. Give us your hard work and we’ll give you the best training, the best incentives and the best pay scale.